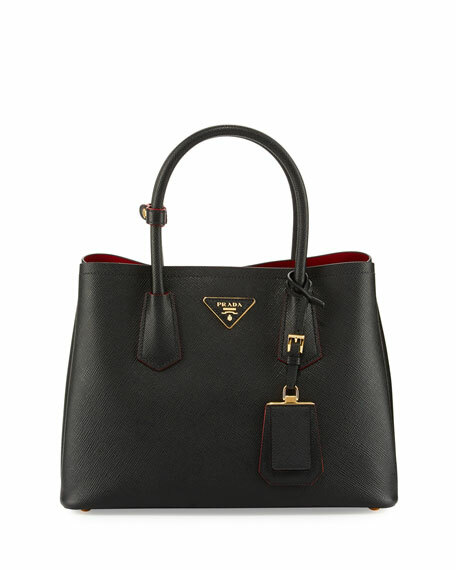 Prada saffiano leather tote bag with golden hardware. Rolled top handles with keeper strap; 5" drop. 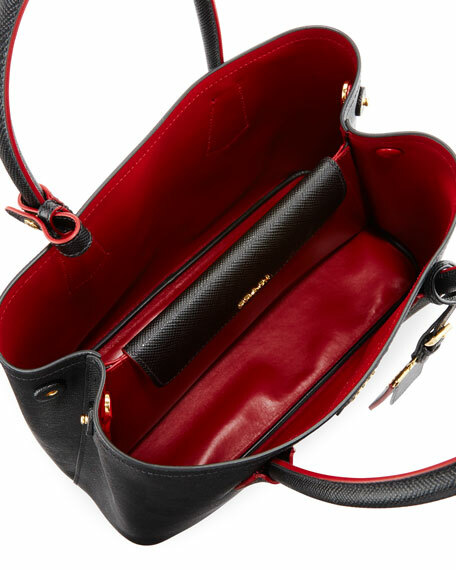 Removable, adjustable shoulder strap; 22"L.
Contrast leather lining; inside flap pocket. 10"H x 13.25"W x 5.75"D.